GOSS LLC is a Joint Venture. It is majority-owned by the Goss Group, Inc.–with JV participation by other major firms, including GMAC–Insurance. Partnering through the JV~ GOSS LLC is able to offer a broad range of risk management & risk consulting services… as well as coverage’s that include a number of unique offerings like: Prepaid Legal Insurance, Identity Restoration, and Environmental Insurance. ….Designed to capture costs, enhance profits or bolster employee satisfaction.. While meeting the changing, critical (and often unique) needs of Tier Automotive Suppliers. A complete risk program provider … Goss LLC also offers outstanding options & markets for the more traditional Property & Casualty, Life, Health and Benefits areas. The JV is able to offer such coverage as Manufacturers Prepaid Legal Insurance, Environmental Insurance, Prescription Health Care Audits, Certificate of Insurance Tracking Systems, as well as the more traditional Property & Casualty, Life, Health and Benefits Coverage’s. This partnering allows for competitively-priced, quality comprehensive insurance coverage while offering Minority Business Enterprise Credits (minority content premium credits) to satisfy OEM/Major Supplier initiatives. Goss LLC Agency provides financial protection and peace of mind for our policyholders by delivering quality insurance products through independent agents. We help you identify your company insurance needs in order to develop the most comprehensive, cost-effective solution. We would like to take this opportunity to welcome you to the “Goss LLC Agency”. Our customer is what makes our Company so special. We have a highly-experienced, highly-credentialed team. Our varied backgrounds provide clients with resources from well–rounded professionals in the areas of risk-based finance, insurance consulting & risk management. 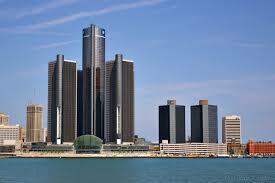 We are Detroit-based – located in the General Motors Renaissance Center. We at Goss are community and civic-minded with involvement in local, regional and national organizations. Goss represents most of the major global insurance carriers. We look for cost-saving insurance/risk management products & services to help our clients. By providing your contact information below, one of our experienced brokers will contact you to discuss your insurance needs.